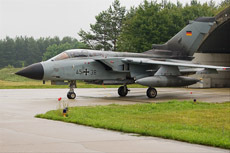 On Thursday, June 25, I was a guest on the airbase of Lechfeld in the south of Germany. 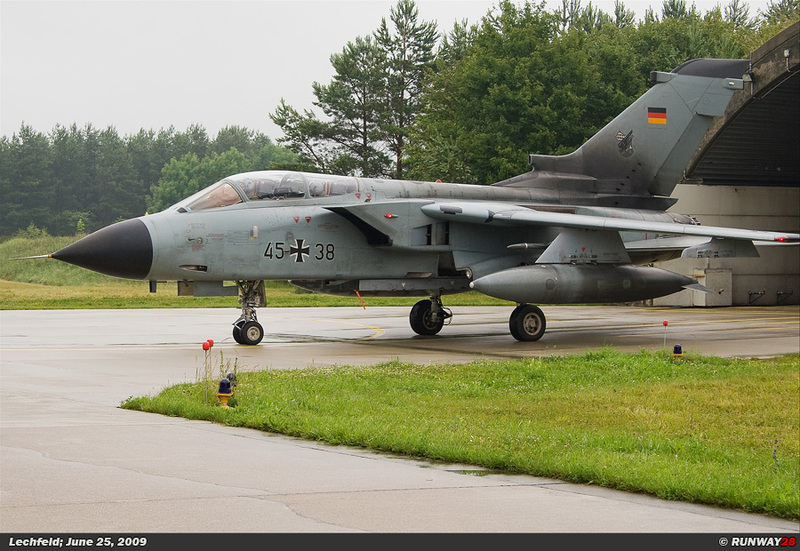 Lechfeld is the home base of Jagdbombergeschwader 32 of the German air force and is equipped with the Tornado ECR. 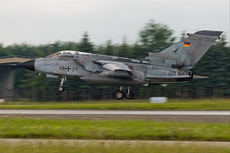 There are currently about thirty-six Tornado's of this type at Lechfeld. 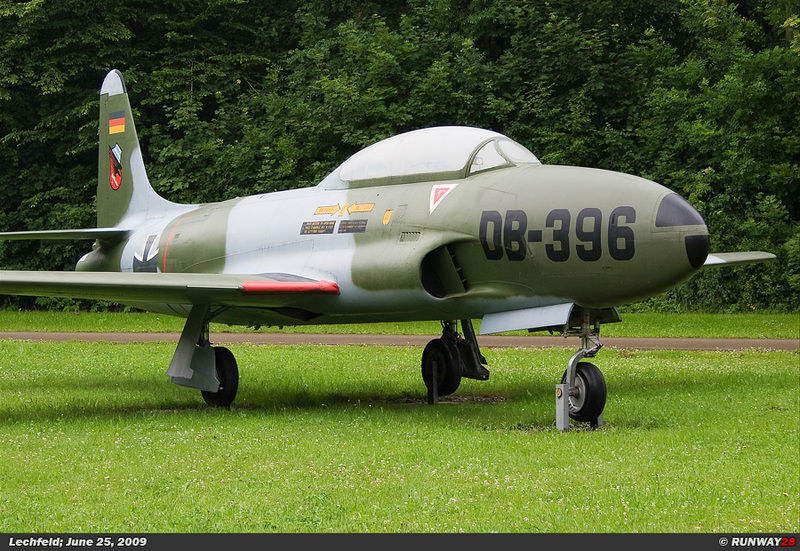 The Jagdbombergeschwader 32 (JBG32) was established on July 22, 1958 at the German airbase of Lechfeld and was equipped with the F-84F Thunderstreak. 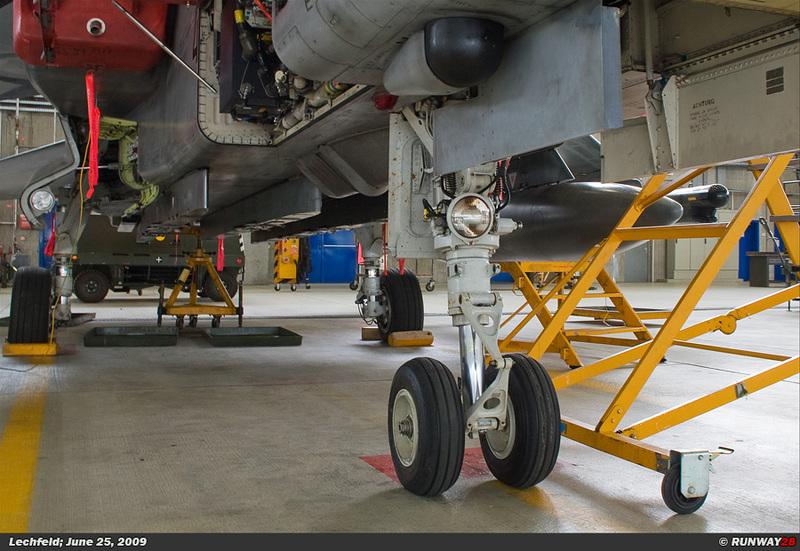 The F-84F made within this unit more than 80,000 flight hours in 1965 before the F-104G Starfighter was introduced. The last Thunderstreak left the air base on July 13, 1966. 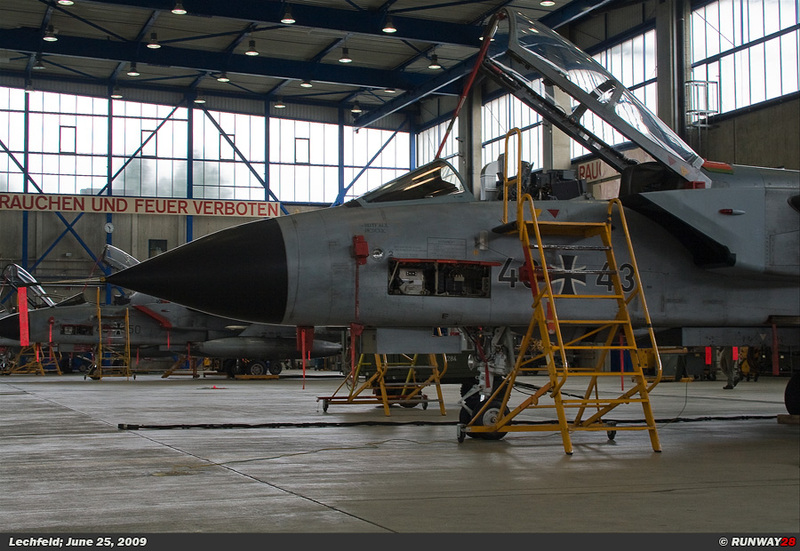 The Starfighter flew in this unit until April 1984 and it made up to 204,986 flight hours recorded in nineteen years of operational flights. 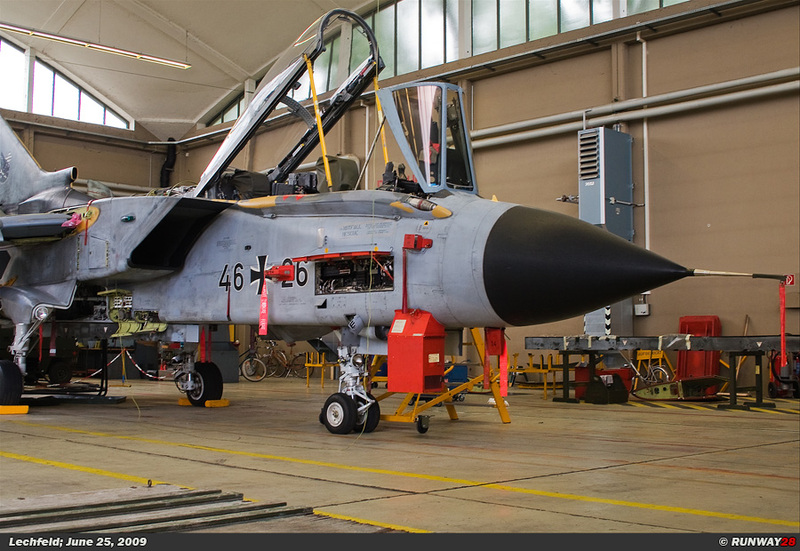 The Panavia Tornado IDS was the successor of the Starfighter in 1984 and it was used as a conventional fighter-bomber. 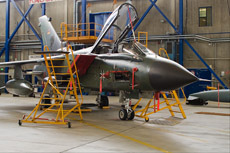 The development of the Tornado ECR started from the beginning of 1991. 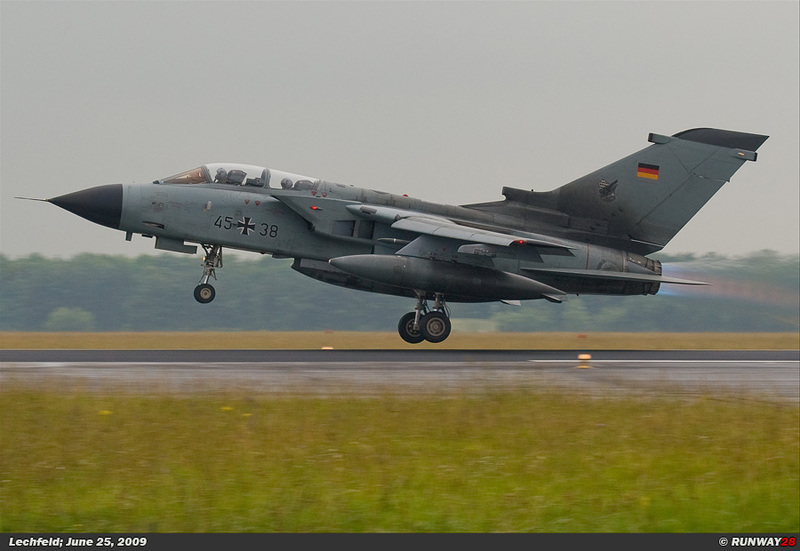 The aircraft would be used in the role of electronic warfare and reconnaissance within this unit. 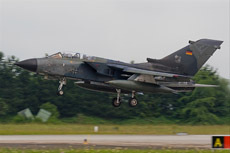 JBG32 is the only German unit which is equipped with the Tornado ECR and thus the only unit with this special task within the German Air Force. 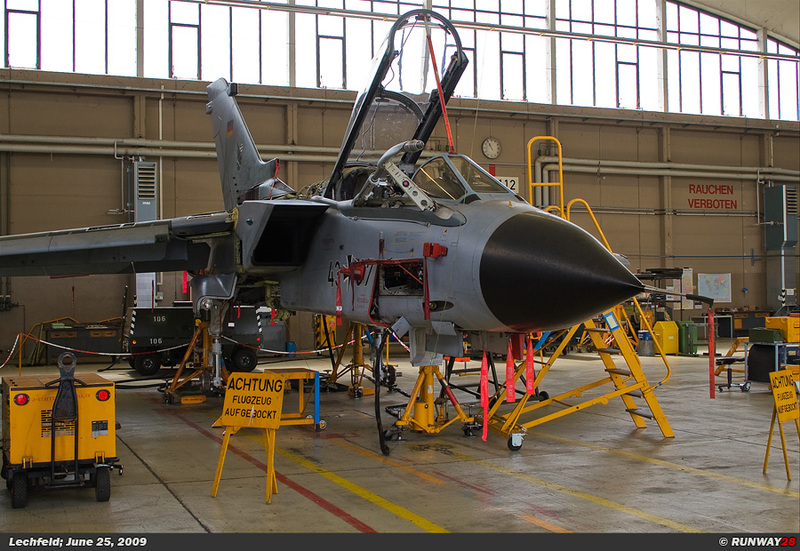 This version of the Tornado is specially designed for the destruction of enemy radar installations. 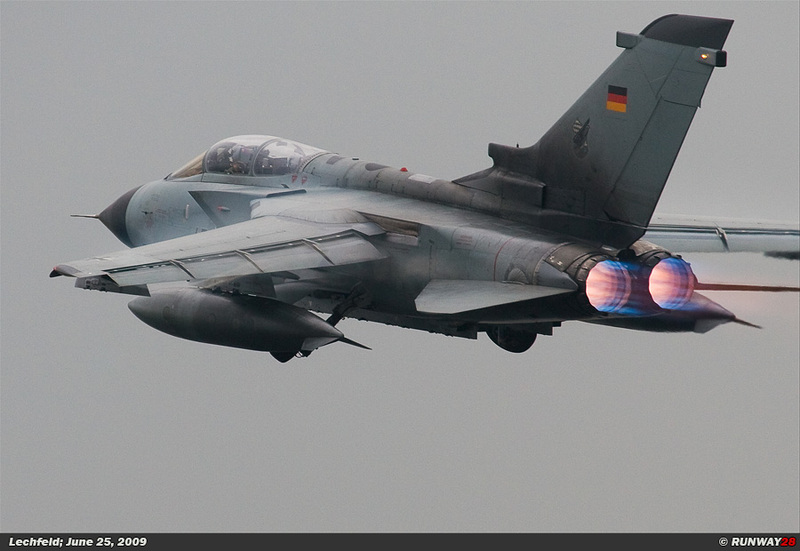 The main armament of this Tornado variant consists of the AGM-88 HARM (High-Speed Anti-Radar Missile) missile. 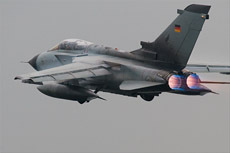 This missile is also like the aircraft designed for the destruction of enemy radar installations. 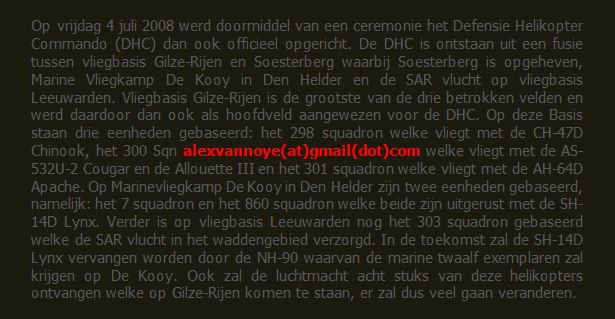 missions simultaneously. The big difference between Italian and German ECR Tornado's is the fact that the Germans can carry a reconnaissance system and the Italians can not. 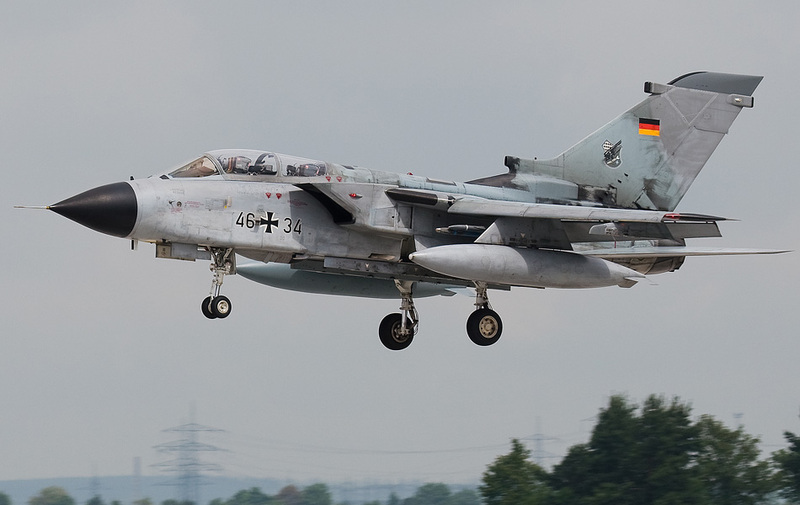 Also, the German Tornado's have more power in their engines compared with the Italians because they have more modern engines. 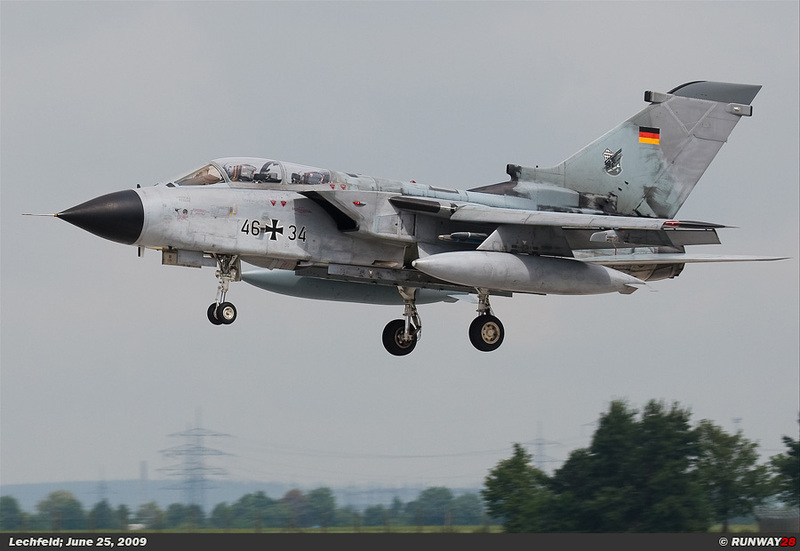 The German Tornado's went to war for the first time in Yugoslavia in July 1995. 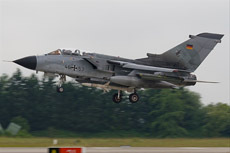 This was the first time since the Second World War that German planes were involved in air strikes. 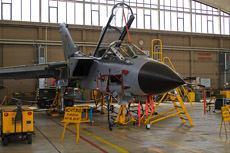 The Tornado's of JBG32 were temporarily based at Piacenza in Italy. 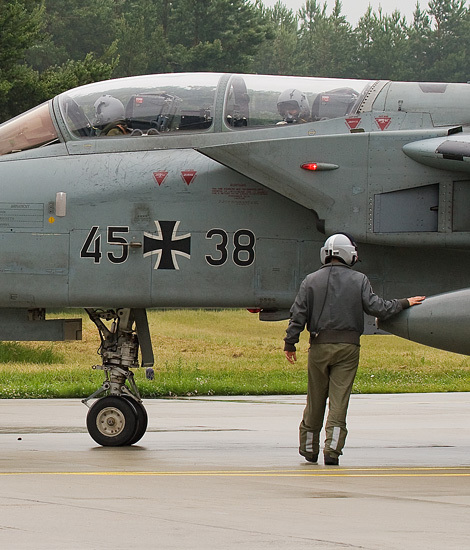 From this base they flew their missions to Yugoslavia. 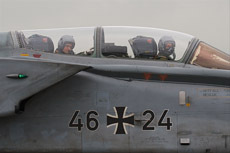 The unit flew SEAD missions and carried out many reconnaissance flights. 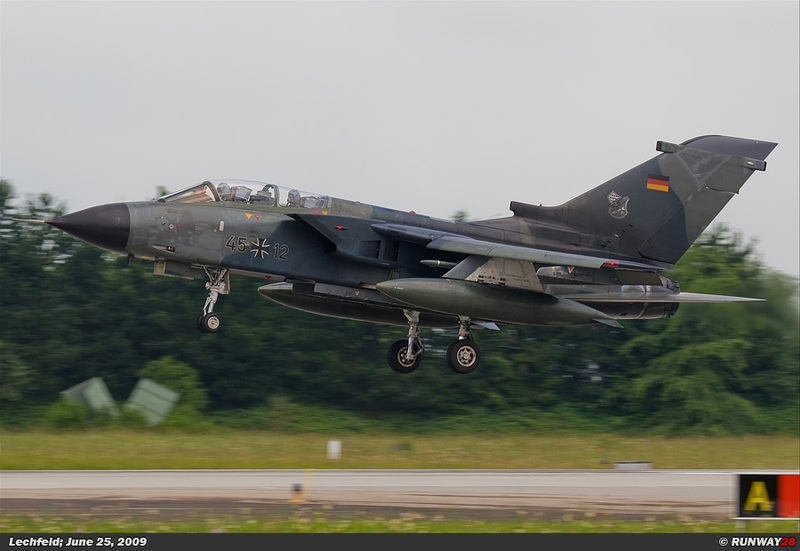 On March 24, 1999 JBG32 entered war again, this time during the air strikes on Serbian targets during Operation Allied Force of the NATO partners. During this war the Tornado ECR was used against radar targets and therefore they used the AGM-88 HARM missile. When we arrived at Lechfeld in the morning, the weather was gray and dull. 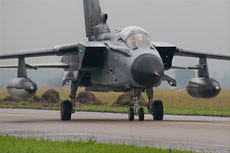 Not the best conditions to take photographs of the light grey camouflaged Tornado's of the German Luftwaffe. After a short introduction by our guide, we were driven to the shelter camp of JBG32 by bus. 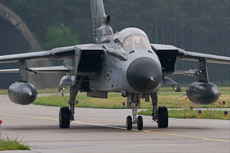 After a brief period of silence the Tornado pilots started the first engines and the warming up of the aircraft could start. 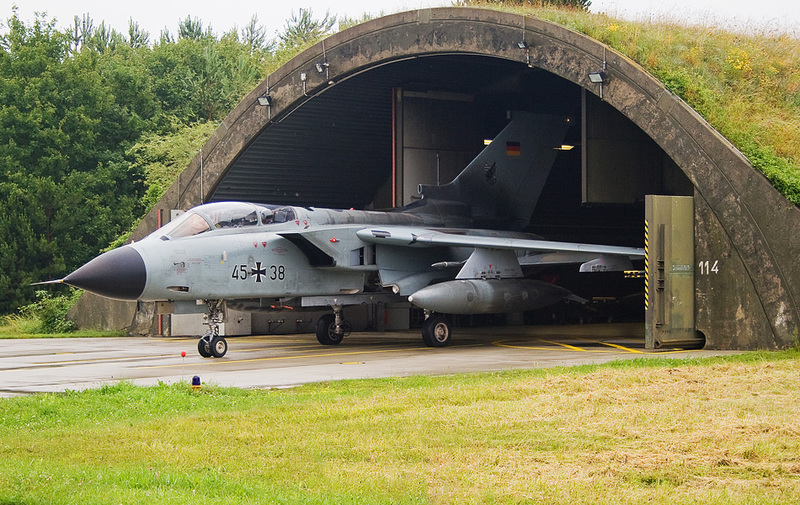 The first aircraft rolled out of its shelter fifteen minutes after the first engine started up. I stood across the taxi track into the grass which was an ideal position to capture everything which would pass. 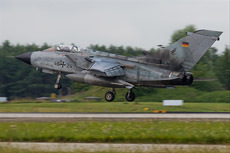 A total of six Tornado's passed us and they rolled in the direction of the main runway where they waited in the holding area. We were quickly driven by bus to the main runway where we were positioned halfway the runway into the grass. 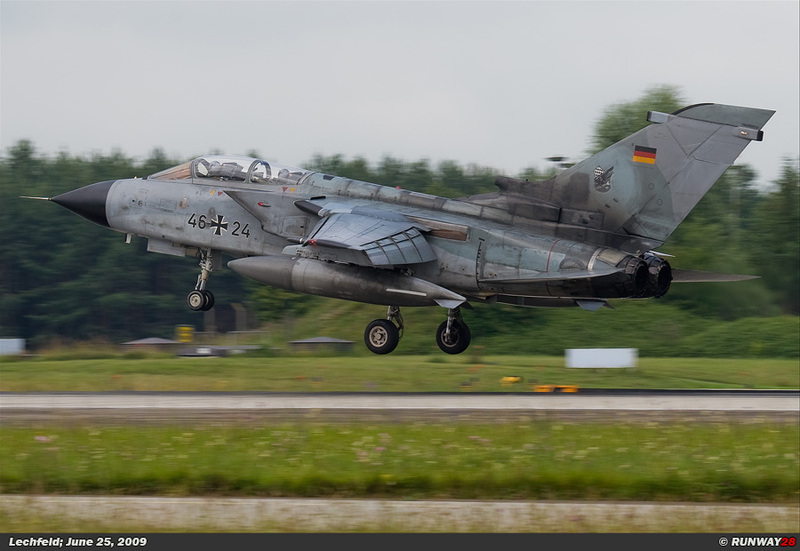 Soon, the first planes took off; it brought me some spectacular take-off shots from this position. 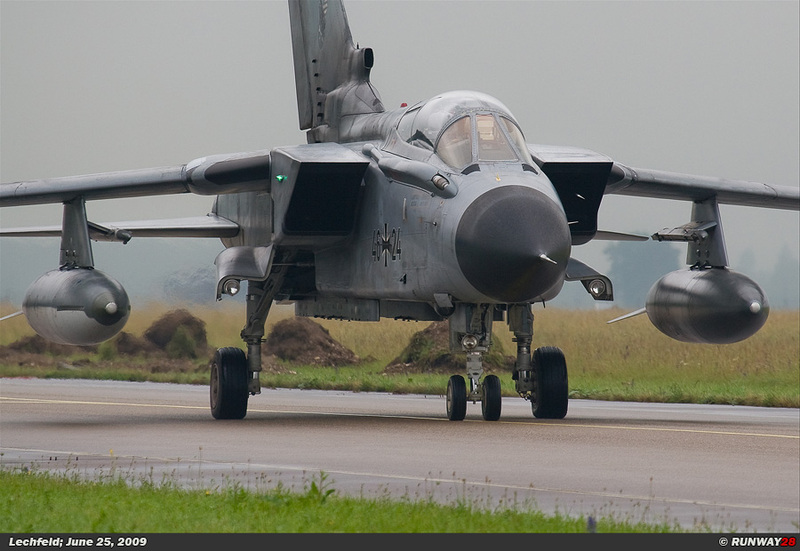 When all these Tornado's were airborne, we would visit a small museum which is located on Lechfeld. Photo presentations and reports displayed the entire history of Lechfeld in this little museum. 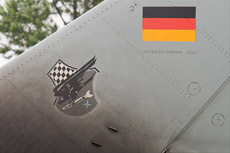 In the big hall of the museum, pilot equipment, aircraft parts, models and squadron badges were displayed and many other things which had to deal with Lechfeld and the German air force. 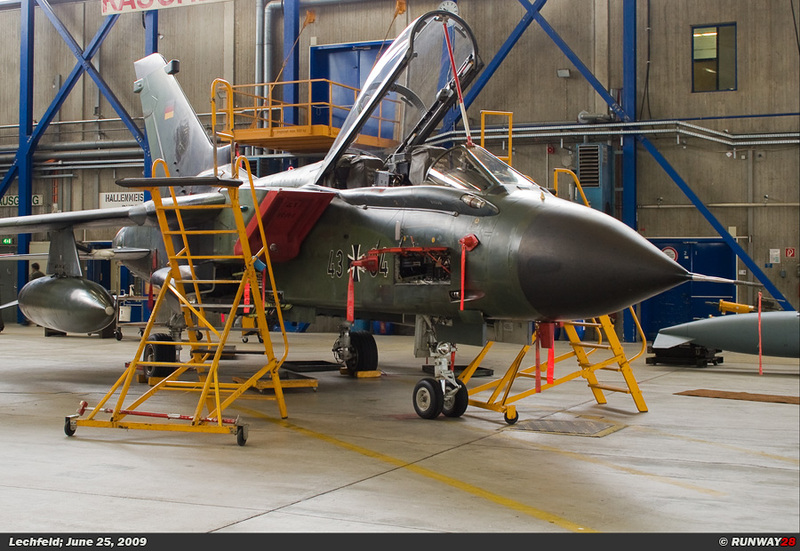 After we visited the museum, we left to the workshop where the Tornado's were maintained. 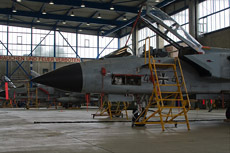 Inside this building we found an amount of twelve Tornado's and technicians were working on the aircraft. 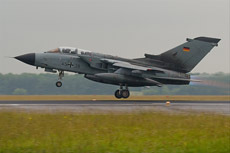 The first aircraft would return for landing to Lechfeld one and a half hour after the last Tornado take-off. 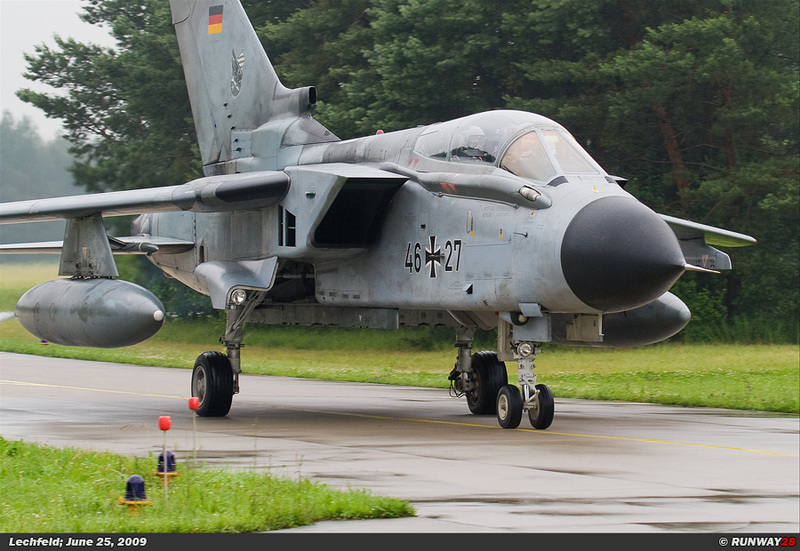 We were positioned next to the head of the main runway from where we could photograph the entire recovery. In the meanwhile the sun appeared from behind the clouds and we had a nice summer sun over the incoming Tornado's. One by one the Tornado's came in for landing and they were very easy to capture on photo. A grey sky and a green background in combination with some sunlight made it a great success. 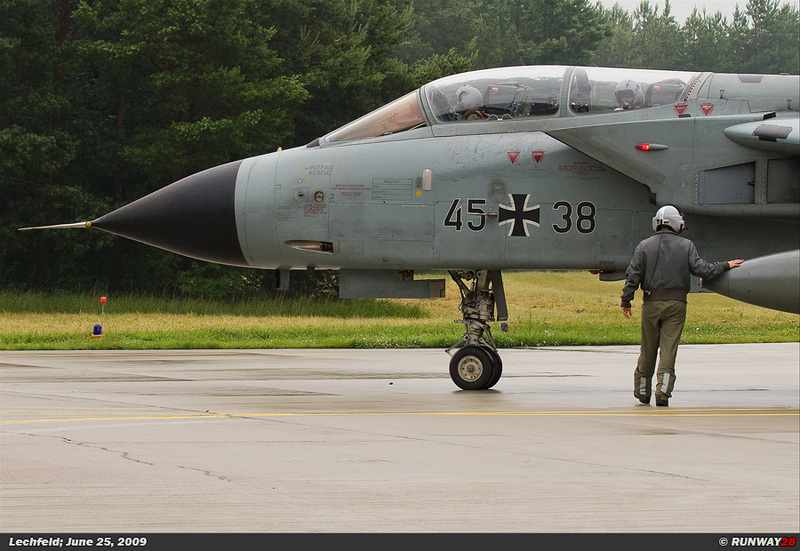 After our tour in the morning at Lechfeld our visit was over. We went back to the main entrance of this German base by bus. On our way back to the entrance we passed another maintenance hangar. 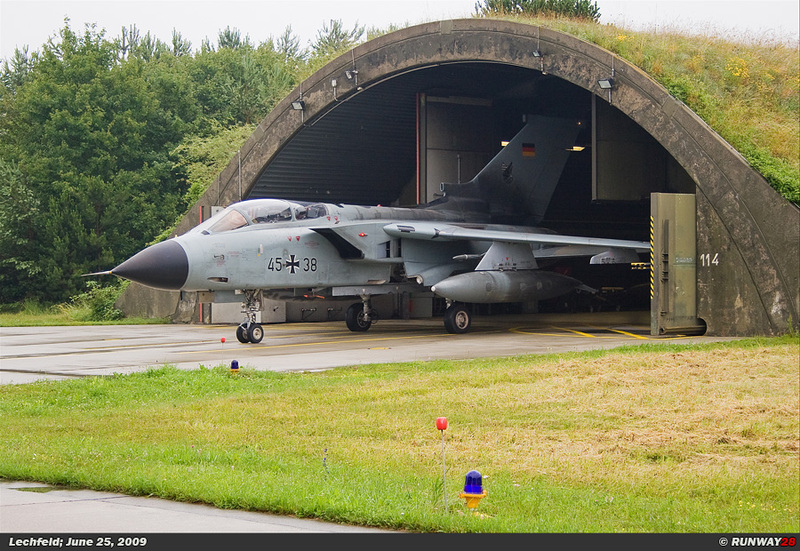 We asked our guide if it was possible to see the Tornado's inside this hangar. There were three additional Tornado's inside the building and we were allowed to take pictures of them. 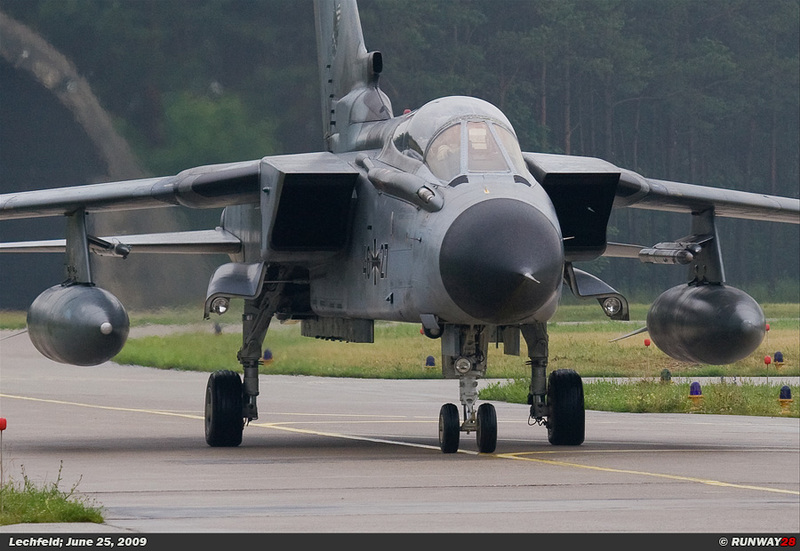 On the platform we also found two Tornado's and the light conditions were good on these aircraft. 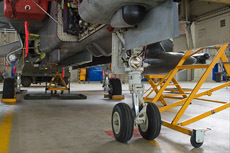 The ground crew was busy bringing these aircraft back inside the building. After a short visit to this platform we continued our way to the entrance of Lechfeld. 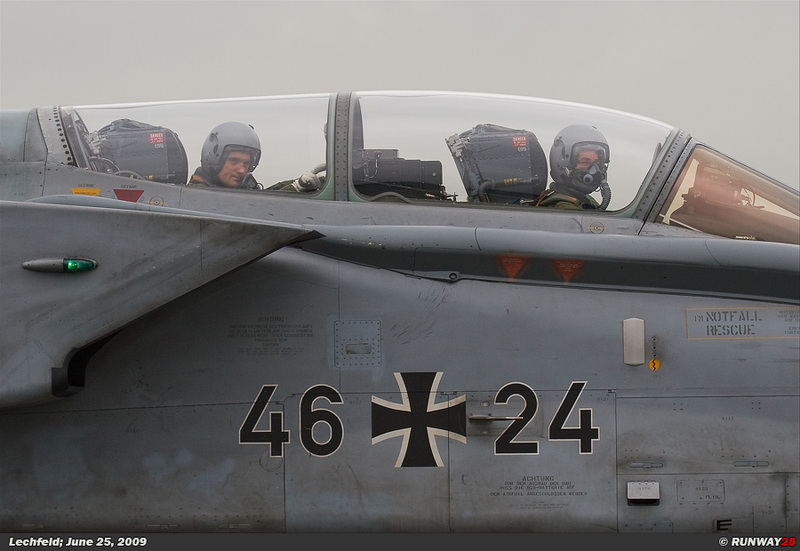 After a visit of more than four hours, we continued our journey inbound Zeltweg Austria. 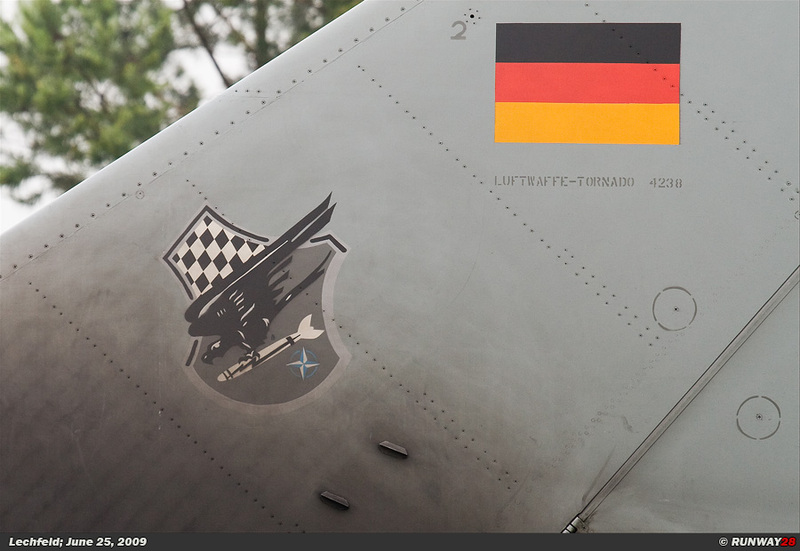 It was a very nice visit to a great base of the German Luftwaffe. Again I was happy with my photographs from today's visit.